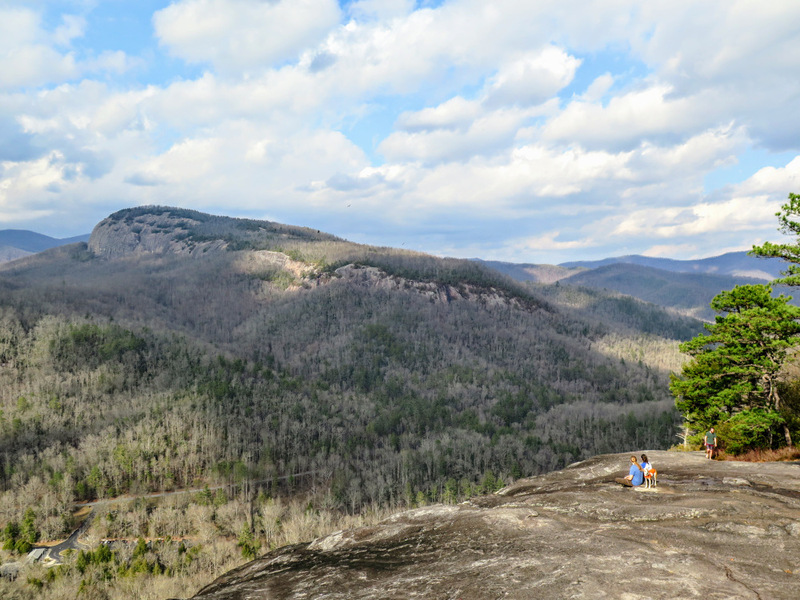 The loop hike to John Rock and Cedar Rock Falls is one of the quintessential day hikes in the Pisgah Ranger District of Pisgah National Forest. 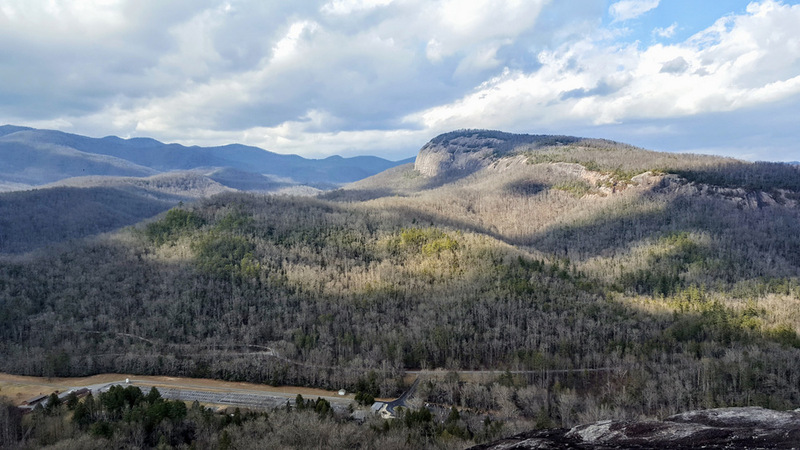 In less than 6 miles you get a prime sample of what the region has to offer – plutons with huge cliffs and big views, and scenic waterfalls that are easy to reach. 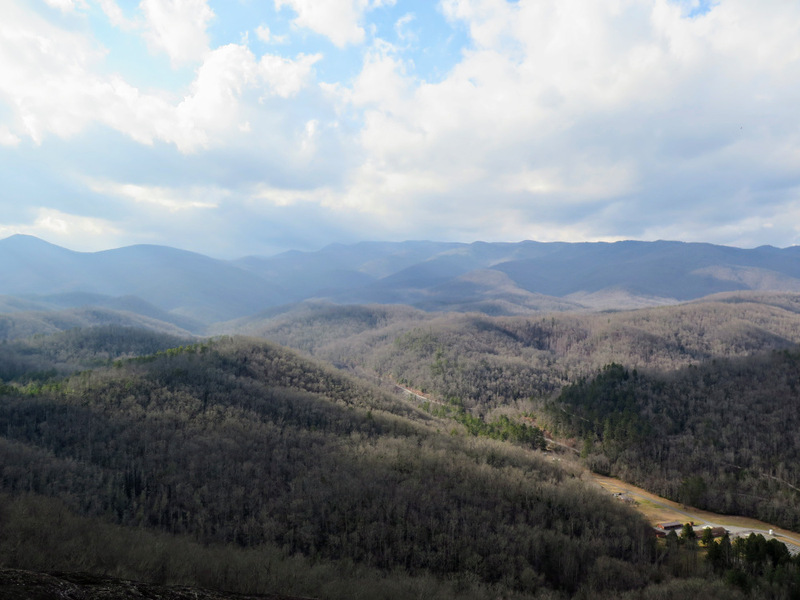 Many of the hikes originating from FR 475 are popular and this hike is no exception. 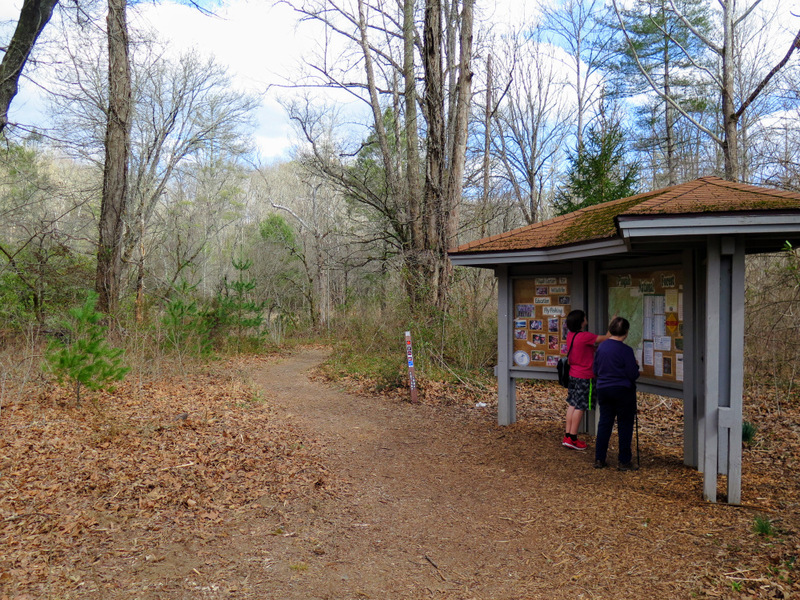 Starting at the Pisgah Center for Wildlife Education you’ll take the Cat Gap Loop Trail east as it meanders beside the Davidson River. 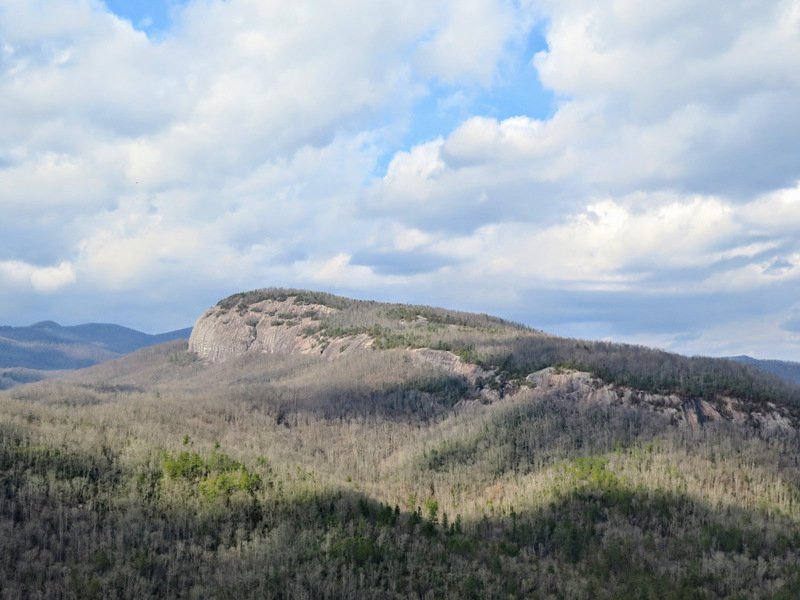 Before you even begin, make sure to look up, the cliffs of John Rock loom overhead. 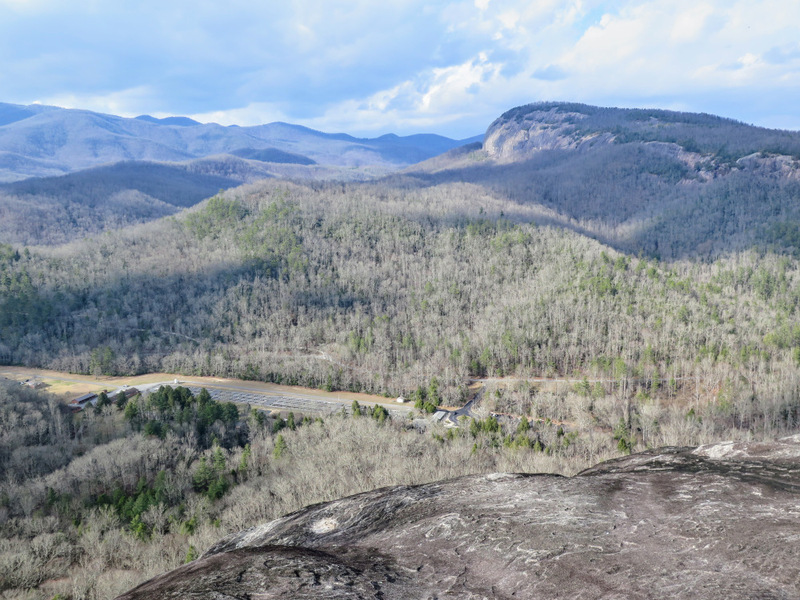 After 2.3 miles of moderately easy hiking you’ll reach the top of those cliffs which provide extraordinary views of Looking Glass Rock and the Great Balsam Mountains surrounding the Davidson River watershed. Many hikers turn around, but that would be a mistake. 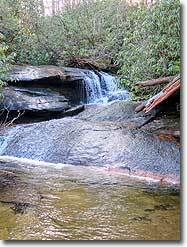 Continue on the loop hike following the gentle course of Cedar Rock Creek through pine groves with exceptional campsites. Near the end of the hike are two waterfalls beside the trail. 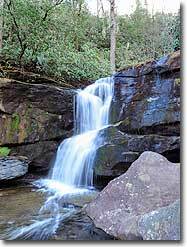 Cedar Rock Falls, the better of the two, is only 18 feet tall but provides a beautiful setting amidst mossy cliffs and overhangs. 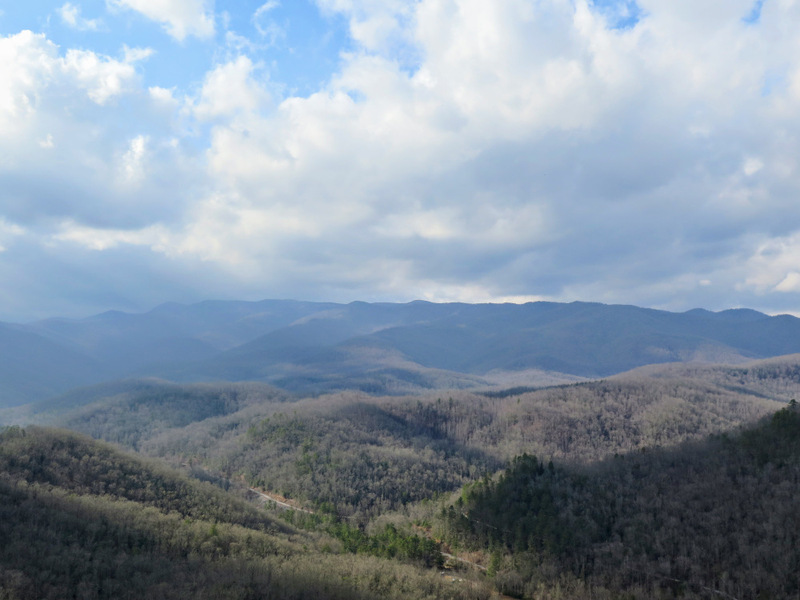 You can do this hike in a few hours, or make it a weekend backpacking trip by adding other trails that originate from the Cat Gap Loop Trail. 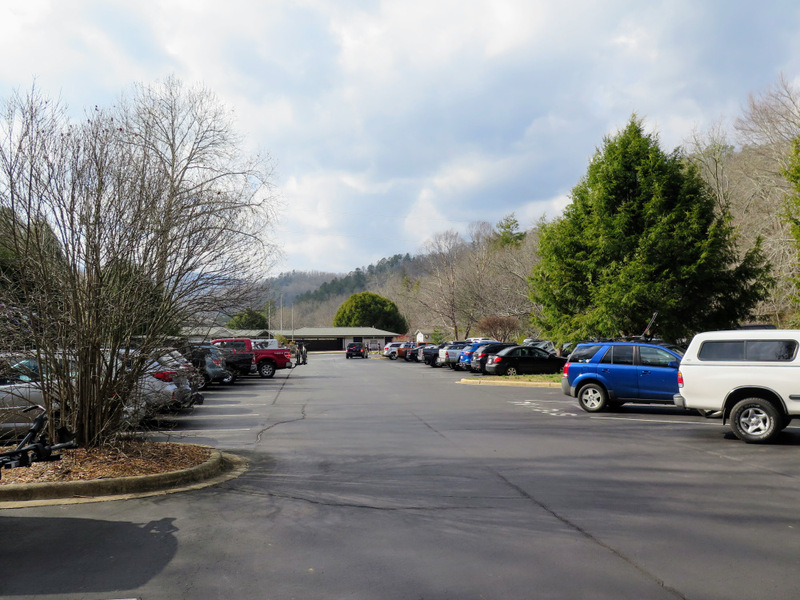 Mile 0.0 – Walk towards the east end of the parking lot at the Pisgah Center for Wildlife Education and begin the Cat Gap Loop Trail  (orange blaze). 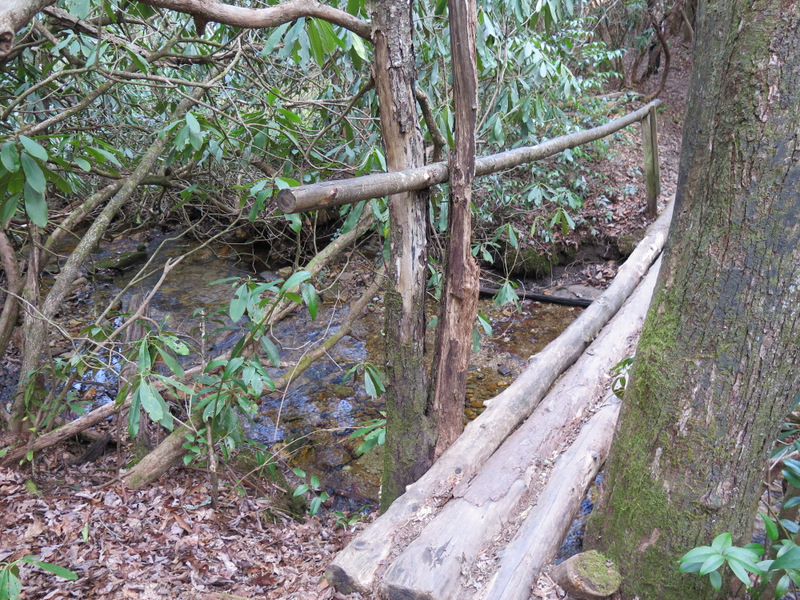 Mile 0.1 – Cross a wooden bridge over Cedar Rock Creek. 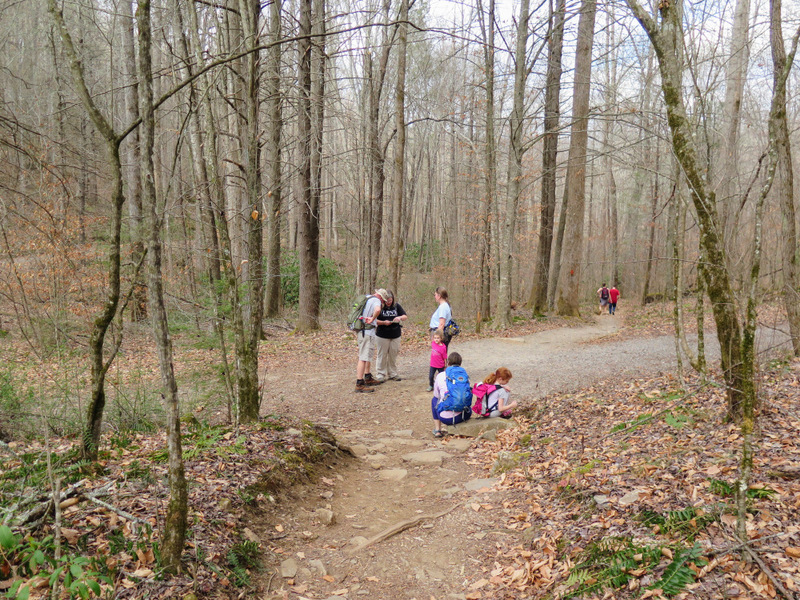 The Cat Gap Loop Trail follows a wide basin with the Davidson River to the left. There are huge, flat campsites for the next half-mile beside the river. 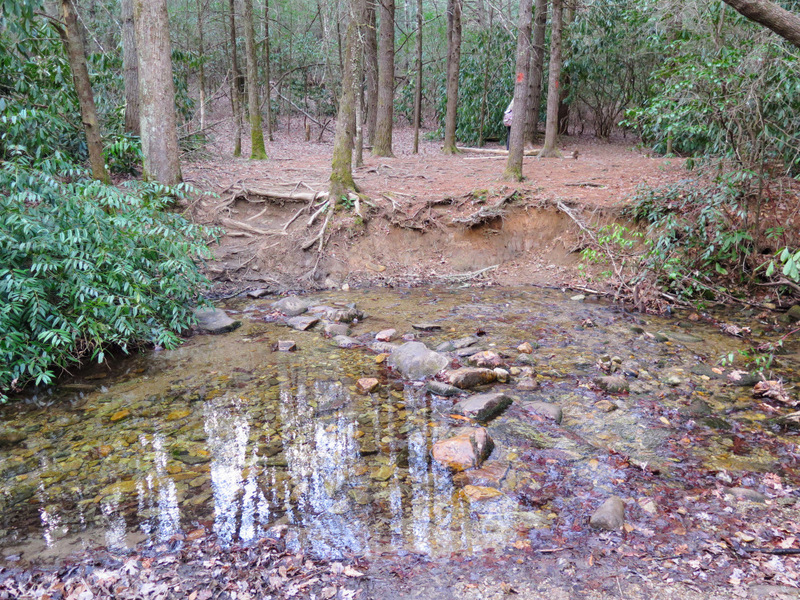 Mile 0.9 – Rock hop an unnamed tributary in Horse Cove. Mile 0.95 – Walk straight through a cross intersection with FR 475C. 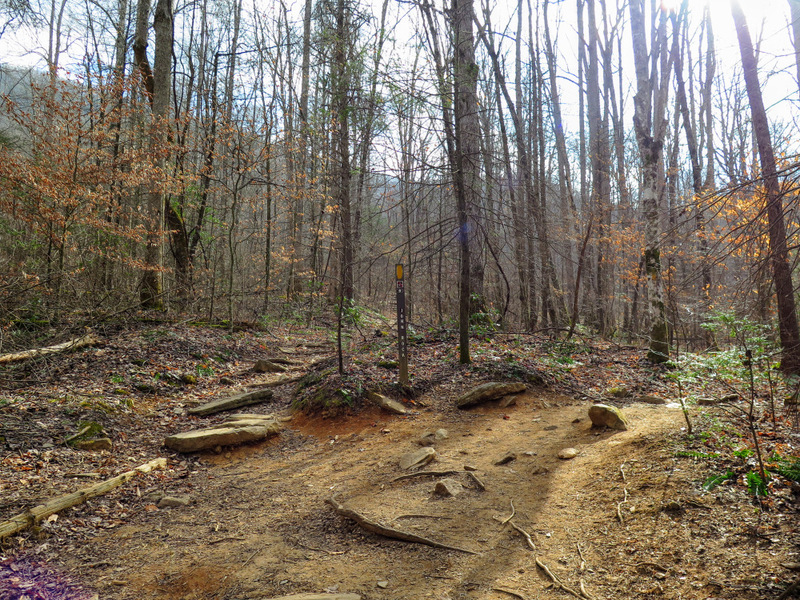 Mile 1.2 – Turn right on the John Rock Trail  (yellow blaze) at the T-junction with the Cat Gap Loop Trail. 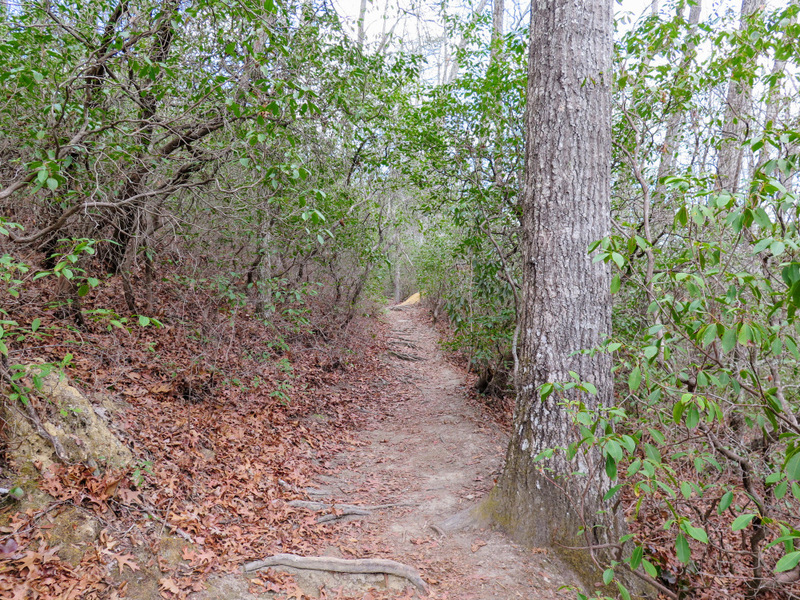 This trail moderately climbs the east side of John Rock. Mile 2.0 – At the northernmost point of the mountain the trail turns left heading west. 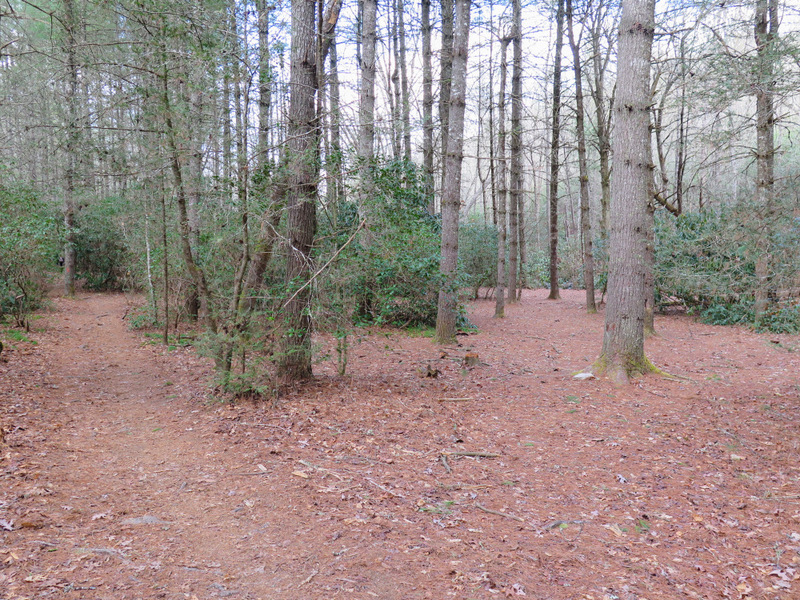 You’ll begin to see multiple usage trails on the right (at least 4) as you keep turning and head south. 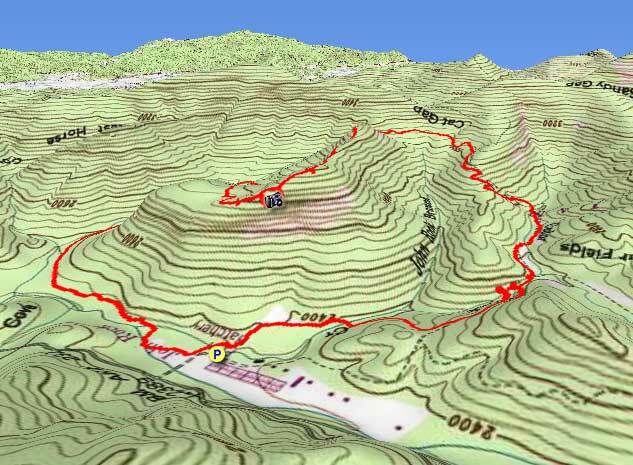 Ignore the first few trails, these all lead to dangerous exposed slopes on John Rock. 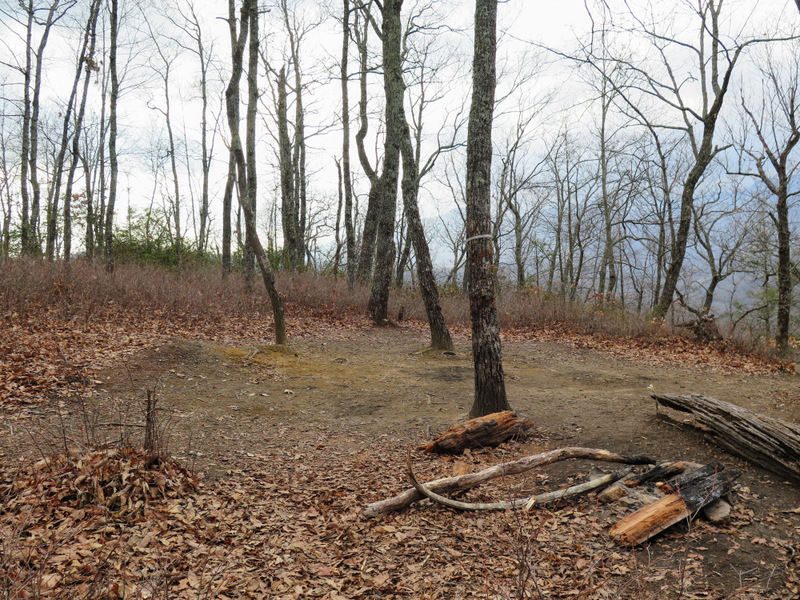 Around Mile 2.2, pick one of the last two usage trails on the right as you near the top of the mountain to access John Rock safely. 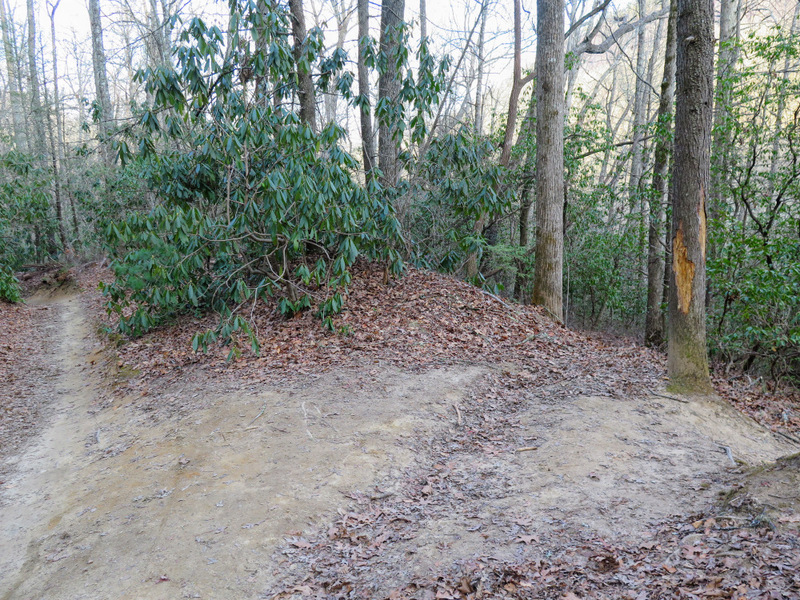 Mile 2.3 – The side path ends at the top of John Rock, a massive exposed cliff on the northwest slope of the mountain. 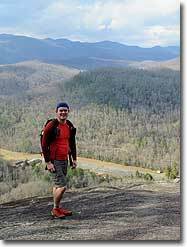 John Rock rises hundreds of feet above the Pisgah Center for Wildlife Education and the Davidson River. 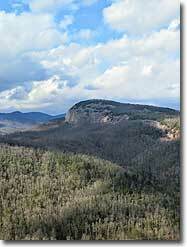 The cliff area offers phenomenal views of Looking Glass Rock, the largest pluton in the region. 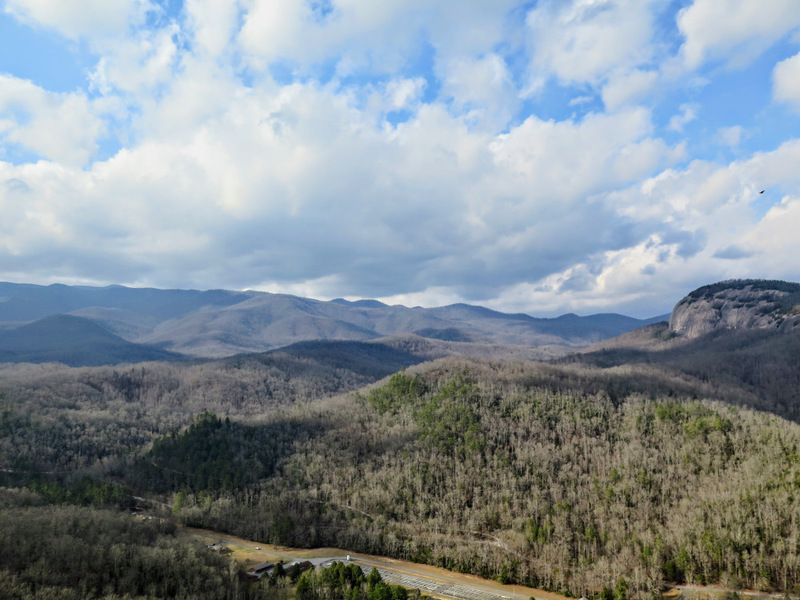 Additionally, you have views north of Pisgah Ridge and the Blue Ridge Parkway, west of Pilot Mountain, and northwest of the tall peaks of the Great Balsam Mountains above the Davidson River watershed. Return to the trail and continue south. 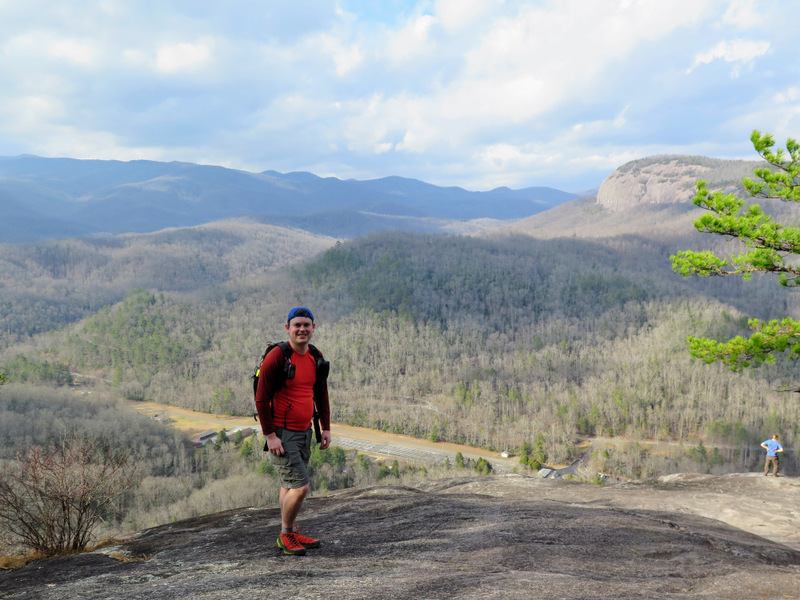 Mile 2.5 – Cross the true summit of John Rock. There is a nice campsite on the right just below the summit. 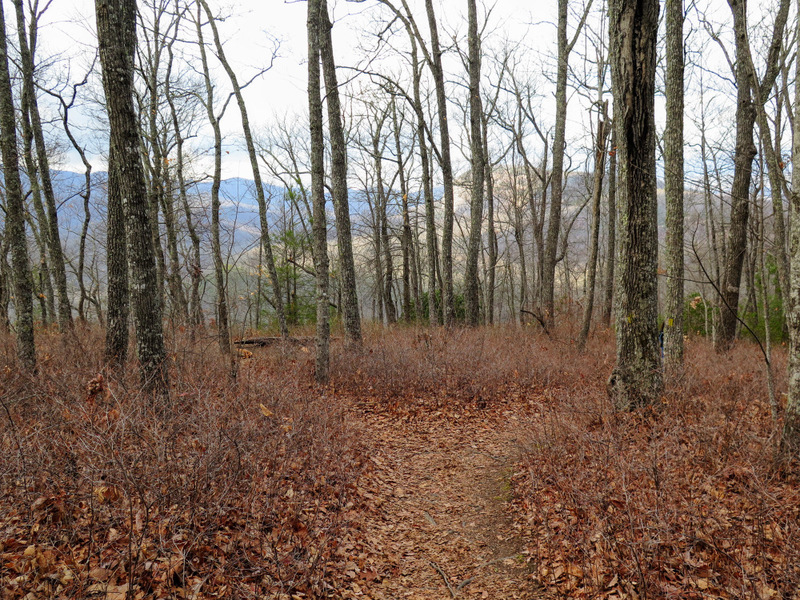 From here the trail follows the crest of the mountain before dropping steeply to rejoin the Cat Gap Loop Trail. 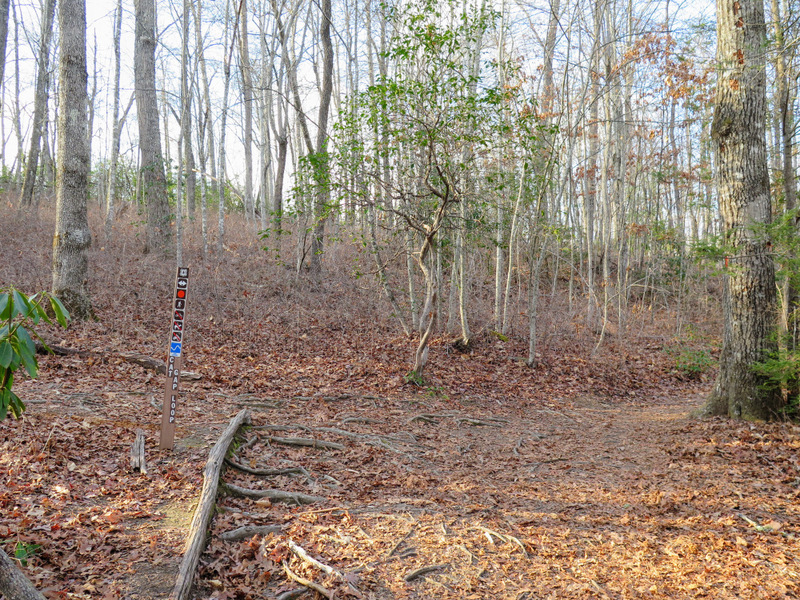 Mile 3.7 – The Cap Gap Bypass Trail ends at a T-junction with the Cat Gap Loop Trail (orange blaze), turn right heading north. 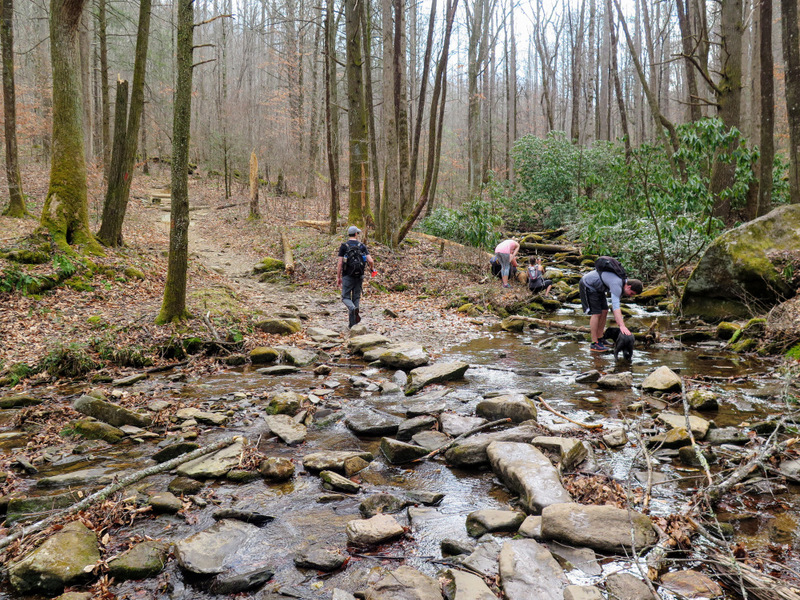 Mile 4.3 – Rock hop Cedar Rock Creek. 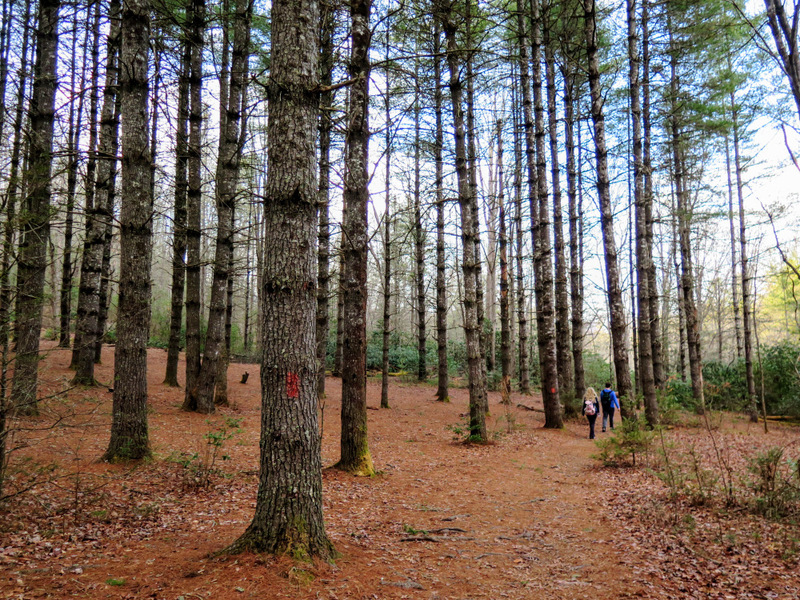 The trail passes through a beautiful, flat grove of tall pine trees. The camping possibilities for the next 0.2-mi are excellent. Mile 4.5 – Cross a single-rail bridge over Cedar Rock Creek. 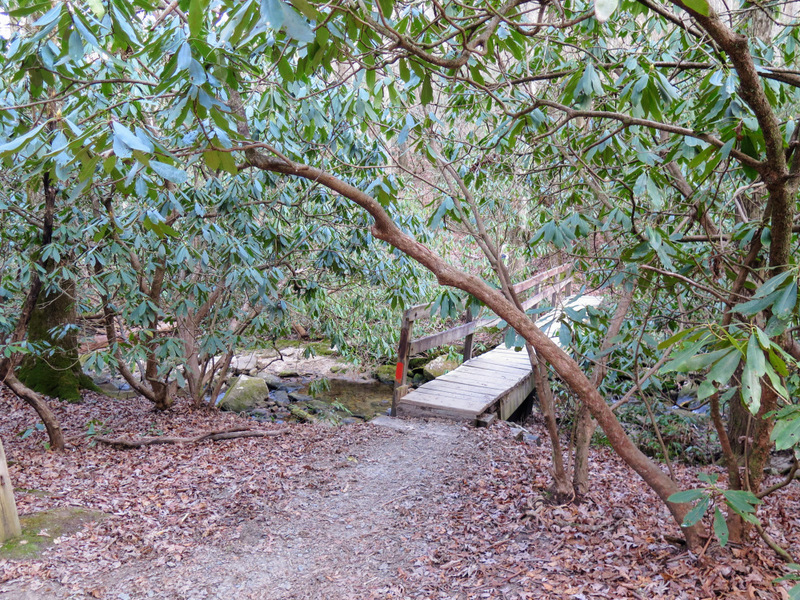 Mile 4.7 – Cross a second single-rail bridge over Cedar Rock Creek. On the other side of the bridge the Butter Gap Trail  (blue blaze) begins on the left heading towards Picklesimer Fields and Grogan Creek Falls. 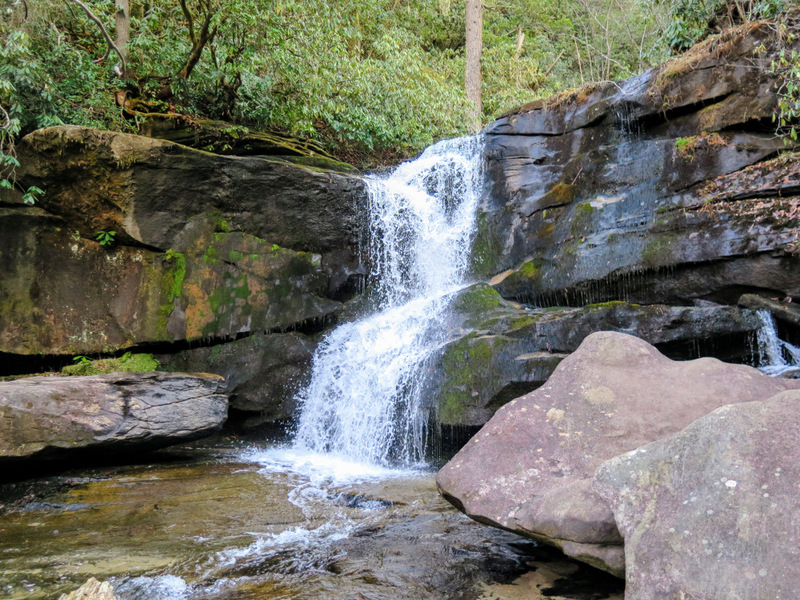 Mile 4.8 – A steep path downhill on the right leads to a large campsite below Upper Cedar Rock Falls. 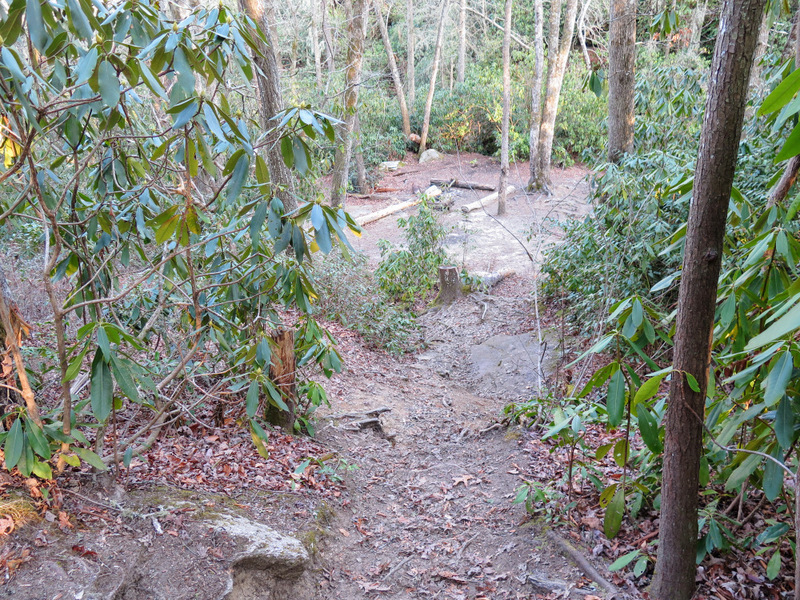 Mile 4.95 – An obvious side trail on the right leads to the base of Cedar Rock Falls. 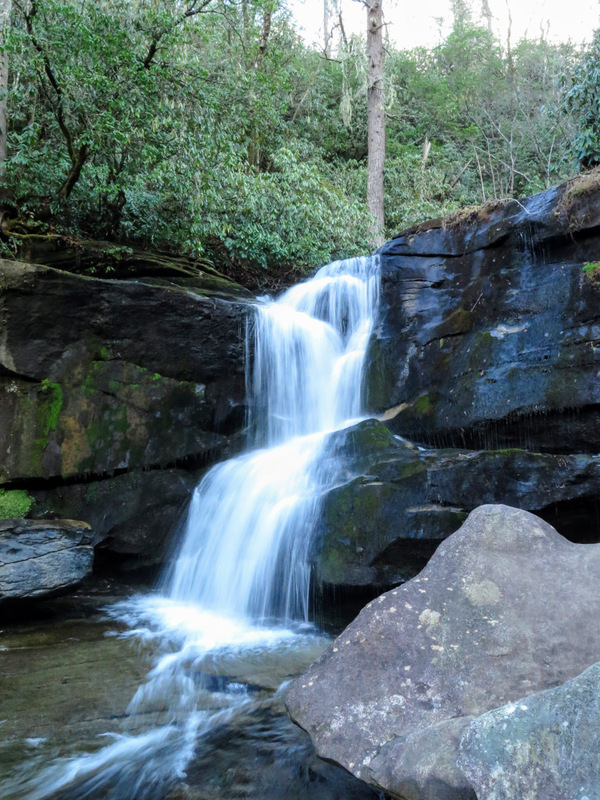 Before you see this trail, you will hear the waterfall and possibly see it. The Cat Gap Loop Trail swings wide around the ravine and you won’t reach the side trail until you think you’ve gone too far. 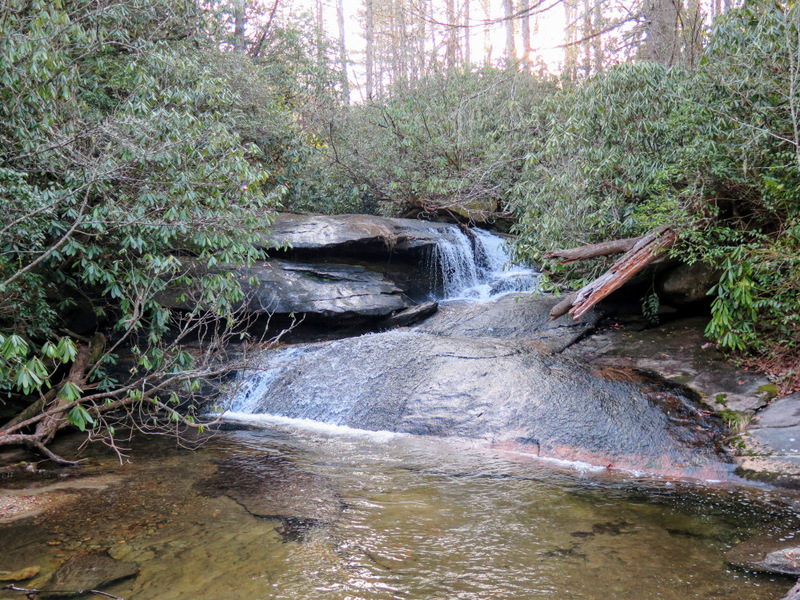 Mile 5.05 – Reach the base of Cedar Rock Falls. 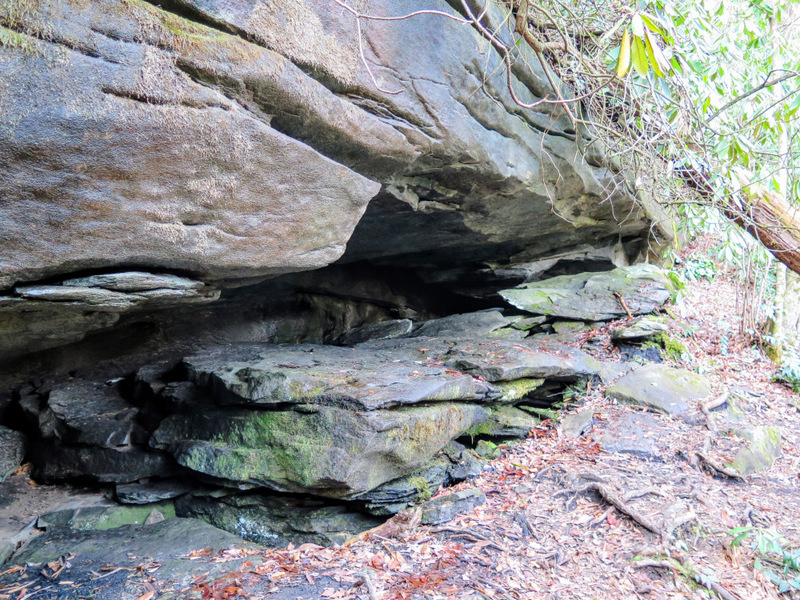 The creek plunges through a shallow V in the cliff face dropping 18 feet. Although lacking in height, this is a very scenic waterfall. Mile 5.6 – Cross a third single-rail bridge over Cedar Rock Creek passing by fish hatchery service roads that are off-limits. 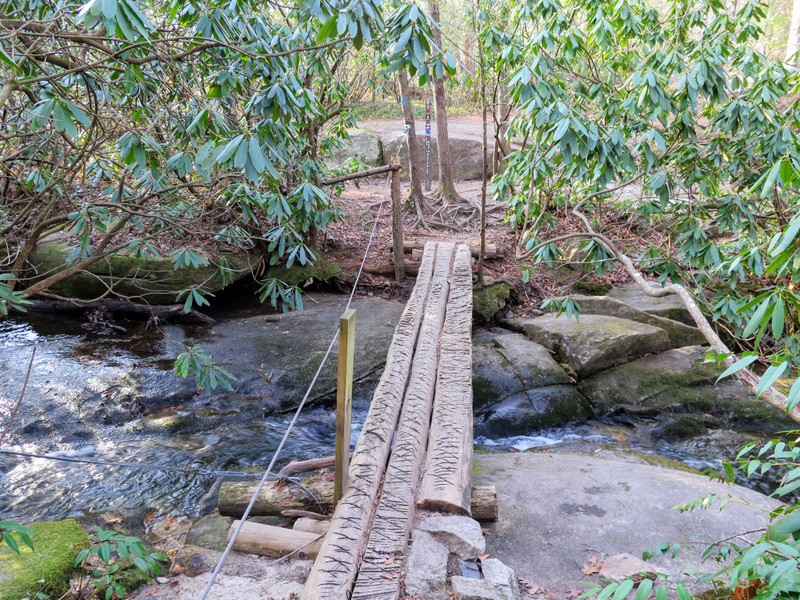 Mile 5.9 – Hike ends when you cross the road bridge over Cedar Rock Creek at the Pisgah Center for Wildlife Education. One of the most beautiful hikes I've ever been on. I found the instructions hard to follow and I'm not sure if they are correct. 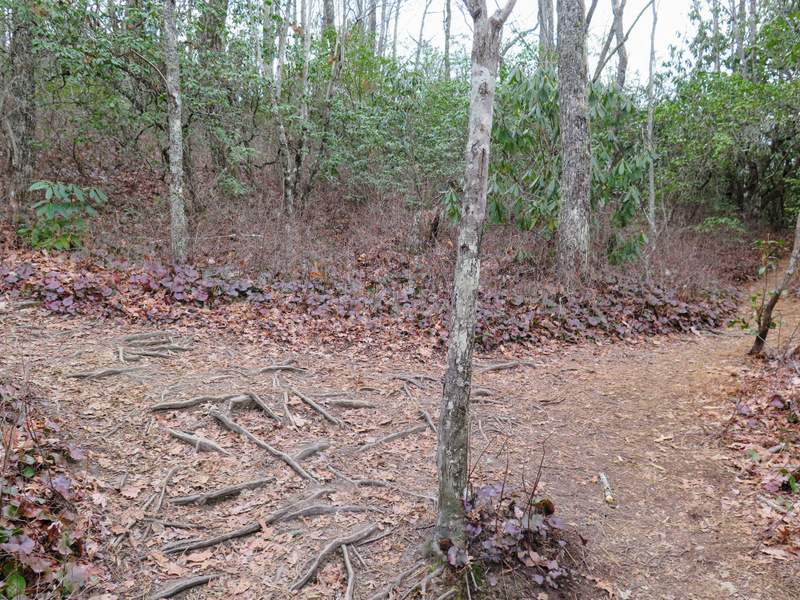 There are not that many blazes on this trail in my opinion especially at critical points where there are two unmarked paths or an indistinct path. There were also two copperheads together (possibly mating?) on the trail at one point so keep an eye out. For it being spring there were next to no blooming flowers or trees on the trail, and at least half or more wasn't much to look at. 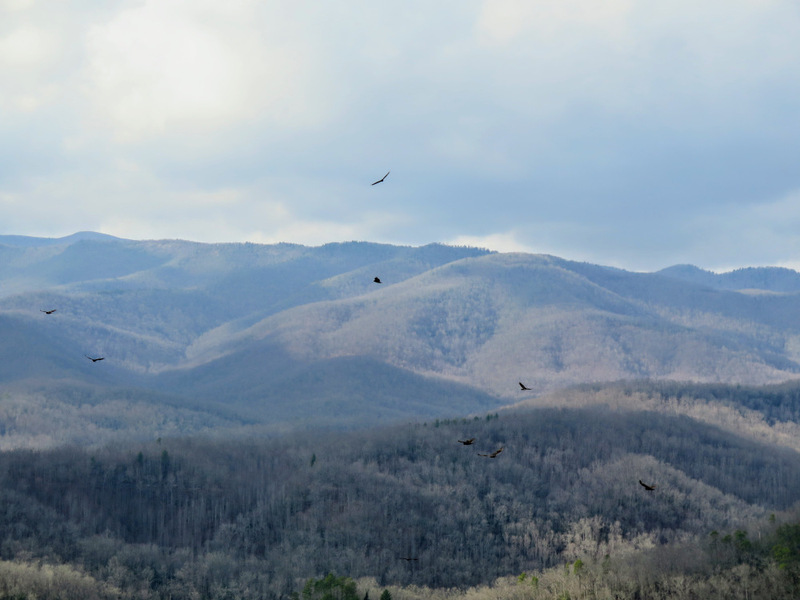 All this is well worth the good views you do get, ten times over. Additionally, I went on a Sunday that called for light rain (though none fell) and was the only one on the path for the most part.